Drive across North Carolina, through any town and you’ll probably see familiar images of boarded up, deteriorating brick factories and mills, monuments to the once thriving textile and manufacturing industries that built our state’s economy for the better part of a century. These dormant, overbuilt, rather inefficient behemoths, while a blight on the cityscapes they inhabit, are significant historical structures that tell the story of North Carolina’s success during the Industrial Revolution and, of course, the subsequent decline of our economic strength and stability during the past several decades. Catawba County was one of the leaders in the economic boom of the late 19th and early 20th century. At the height of the textile revolution in the 1950’s, our community boasted a whopping 200 mills and manufacturing facilities. These businesses became the epicenters of smaller communities, creating an intricate web of relationships between mill workers, local businesses and mill owners. As these mills began to see a decline in business in the 70’s, Catawba County witnessed a similar decline in these communities as the social fabric created by these textile companies began to disintegrate. Fast forward twenty-five years and we see these now well-known dilapidated structures dotting our landscape. Community leaders recognized that industries were not coming back to work in these factories, so what now? Many called for developers to destroy the facilities to make way for cheaper, more efficient facilities but many of the sites became toxic wastelands filled with old chemicals, asbestos, and other environmental hazards that had to be cleaned up before new construction could begin. Following the trends set in the Northeast, several North Carolina communities began investigating the validity of rehabilitating the old mills after seeing the overwhelming successes of developers who turned the eyesores into amazing community-centered architectural works of art. The trend finally made its way to Hickory early in the 2000’s when several old mill buildings were sold and rehabilitated into vibrant businesses and community spaces. Local entrepreneur and developer Pete Zagaroli began eying different decaying buildings both in town and around the county and began looking into the viability of revitalizing many of the old structures into new, vibrant mixed-use spaces. As luck would have it, the NC Department of Natural Resources began looking at the benefits of offering incentives to developers who reinvented existing industrial spaces instead of tearing them down. In 2005, Senators David Hoyle (D) and Fletcher Hartsell (R) introduced the “Mills Bill” to the North Carolina Senate, entitled “An Act to provide a tax credit for revitalization of historic mill facilities and to allow tax credits for certain historic rehabilitations to be transferred to long-term lessees.”The bill passed into law, becoming Chapter 105, Article 3H of the North Carolina General Statutes. In 2015, the bill was revised to include a tiered system of incentives based on location within the state and economic conditions in the community. 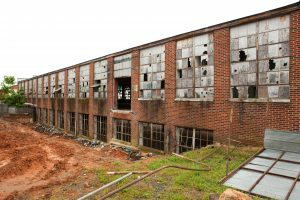 The NC Historic Preservation Tax Credit has been extremely successful in creating new energy in decaying communities suffering from the loss of manufacturing jobs. Over 25 projects have been completed across the state because of the credits, with several here in Hickory that have made a significant difference in the landscape, economy, and outlook of our citizens. The HPTC piggybacks on federal programs designed to breathe life into communities that have seen tremendous loss economically and socially over the past several decades. One of the stipulations on the NC HPTC is that the building or structure must be on the National Registry of Historic Places. They also must have been 80% vacant for at least two years. But even with the credits and incentives, rehabilitating these buildings is not for the faint of heart. While the basic structure is well suited for up-fitting and revitalization with sturdy, over-built wood floors, immense square-footage, and redundant fire-safety measures, the expenses can be overwhelming. Those who specialize in bringing these structures back to life see the long-term benefits. “The thing about old buildings is that they have personality, they almost have a soul. 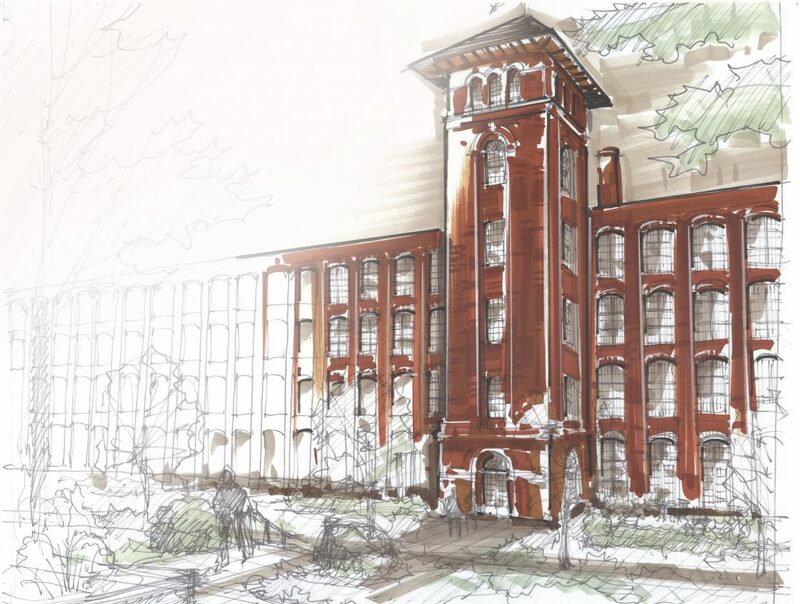 New construction just doesn’t have that, no matter how great the building is, it doesn’t have that history that these old mills and factories have,” stated Pete Zagaroli. 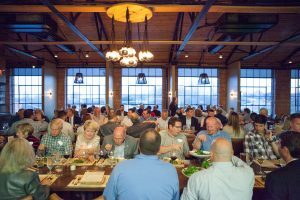 In Hickory, several projects have shown our great personality and soul, and have truly reinvigorated the industrial corridor that used to be thriving. The conversion of the Hollar Mill, Moretz Mill and Piedmont Wagon into beautiful buildings that now house shops, restaurants, spas and businesses have given our economy and our community morale a much needed boost. The decrepit Lyerly Full Fashioned Mill was refurbished, updated, and occupied by Transportation Insight, who in turn won an award for the Best Rehabilitation Project of 2016 by NC Mainstreet Center. In 2014, the City of Hickory received a grant from the NC Historic Preservation Office to examine the possibility of rehabilitating more historic properties in our area. The possibilities of bringing even more economic development, more community-minded expansion using existing resources and more community pride as areas known for crime and blight are rejuvenated into thriving centers of culture and commerce. 100 years ago, the brick mills and warehouses of old Catawba industry were built to be a utilitarian, sturdy, basic building to serve the industry of the day. Who’s to say that in 100 years from now, the less-than-lovely abandoned metal buildings dotting the Unifour’s landscape won’t serve the dreamers and designers of the time by becoming the reclaimed and refurbished trendy locales we see today.